BOB'S BURGERS: Sgt. 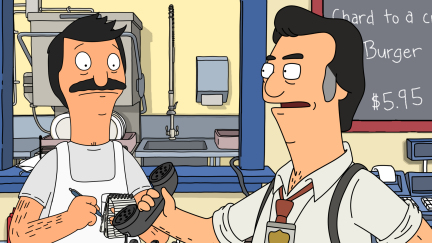 Bosco (guest voice Gary Cole) asks Bob to talk to Mickey the bank robber (guest voice Bill Hader) in the all-new &quot;Bob Day Afternoon&quot; episode of BOB'S BURGERS airing Sunday, March 18 (8:30-9:00 PM ET/PT) on FOX. BOB'S BURGERS &#x2122; and &#xa9; 2012 TCFFC ALL RIGHTS RESERVED. This page was last edited on 1 September 2012, at 00:19.